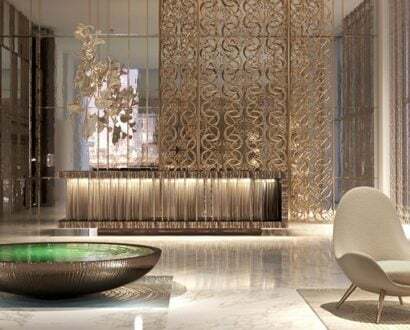 If you’re a keen traveller, you’ll have probably realised the places that make the most impact are the ones that give you a knock-your-socks-off feeling that never leaves you. These 10 places should be at the top of your travel bucket list if you want memories that will wow you forever. Drawing more than 750,000 visitors – set to top one million in 2019 – each year, some call Milford Sound the ‘eighth wonder of the world’. 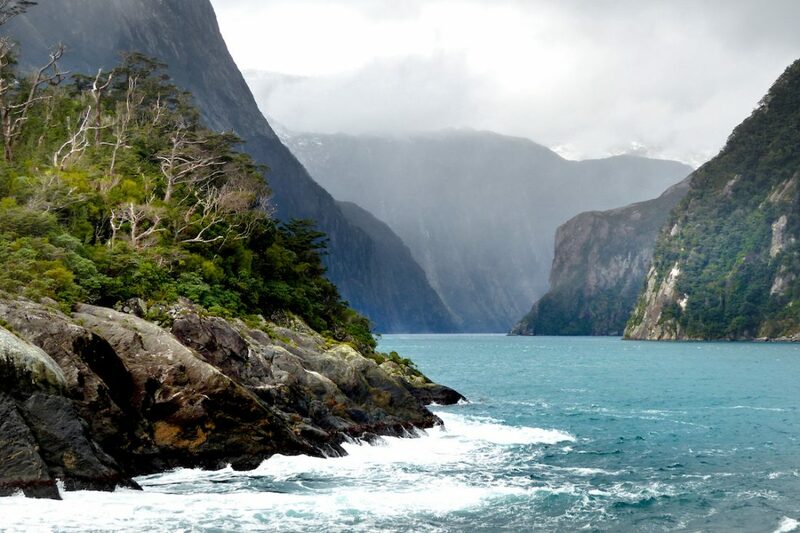 The magnificent fjord is located in the southwest of New Zealand’s South Island in Fiordland National Park. The scenery is magical; as well as the majestic Mitre Peak towering 1,692 metres over the water, there are also stunning rainforests and waterfalls to take in. Home to seal, penguin and dolphin colonies, the water reaches depths of around 420 metres. It’s a nature lover’s dream. The land of green mountains, misty lochs and crumbling castles retains a rugged natural beauty and is steeped in local folklore and legend. 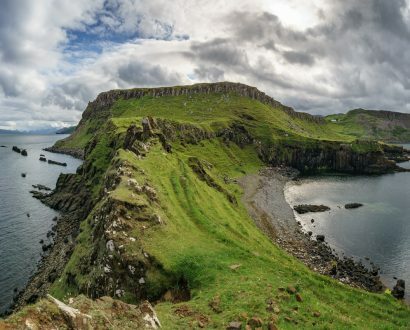 The Isle of Skye, also known as ‘cloud island’, is the second-largest of Scotland’s islands and one of the most spectacular. Explore by car, motorcycle, bicycle or foot and be prepared for an out-of-this-world wilderness experience. A UNESCO World Heritage Site, Ha Long Bay boasts millions of tourists a year for a reason. 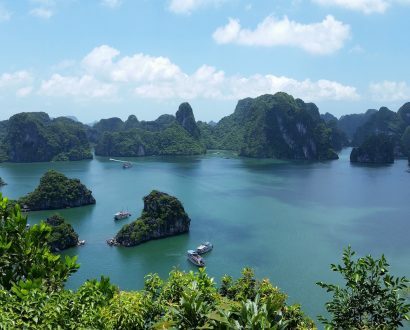 Ha Long in Vietnamese means ‘descending dragon’ and, according to one ancient legend, the region was created when an enormous beast entered the sea, cutting the bay from the rocks as it trounced its way through the water. With roughly 2,000 limestone peaks and jungle-covered islands scattered among the site, it is a vision of ethereal beauty. Though around five million visitors flock to Hawaii’s most-visited island of Oahu each year, the state’s lesser-known, northernmost island of Kauai holds some of the most spectacular coastlines in the world. 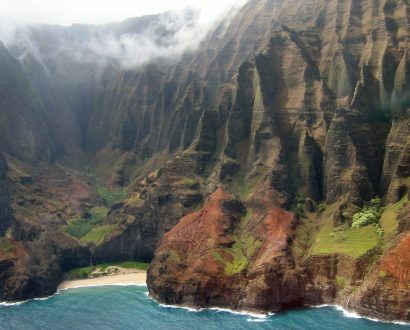 Boasting beautiful beaches, waterfalls and hidden sea caves, the Na Pali Coast is full of extraordinary natural beauty and will leave a lasting impression. 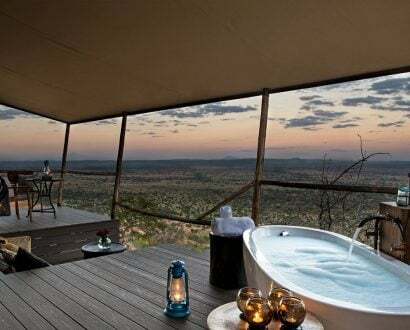 If you’ve been dreaming of going on a safari, this is the place to do it. 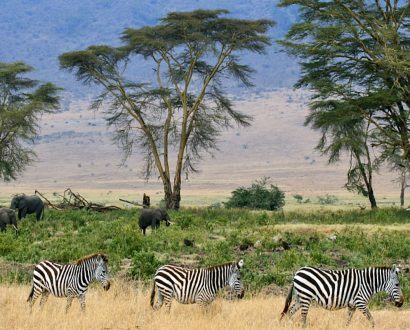 Home to one of the most fascinating wildlife spectacles on Earth – the great migration of wildebeest and zebra – The Serengeti National Park in Tanzania is unmatched for its natural beauty and scenic value. You’ll be sure to leave here amazed at our planet’s wildlife. 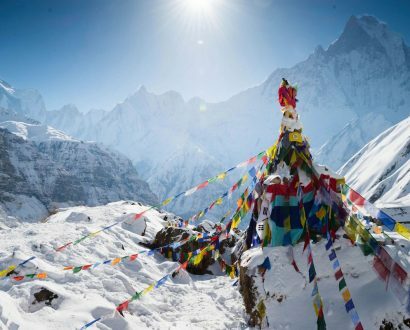 Spanning some 2,500 kilometres across Asia and taking in countries including India, Bhutan and Nepal, the spectacular Himalayas include many of the highest peaks in the world – the most famous of them being Mount Everest. This majestic landscape of mountains, deep valleys and glaciers offers an unmatched grandeur. 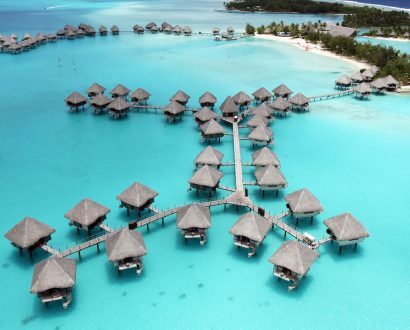 This may be paradise; the island of Bora Bora, located northwest of Tahiti, is one of the world’s most stunning locations, with crystal-clear water, coral reefs and lush, green hillsides. However, it’s a sight few get to see. Romantic, colourful and unforgettable, this island is sure to be a once-in-a-lifetime getaway. 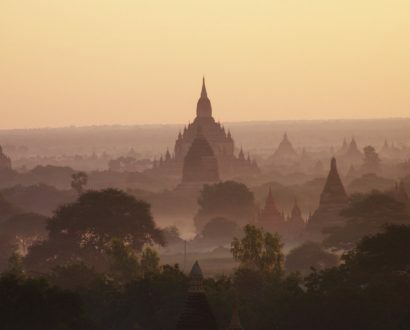 A site to rival Machu Picchu or Angkor Wat, Bagan’s ancient city skyline is awe-inspiring, with its vast reach of other-worldly temples rising above the surrounding forests. Originally home to more than 10,000 temples in its glory days of the ninth to 13th centuries, today only around 2,200 structures remain, owing to invasions and earthquakes. A truly magical place to explore and imagine what once was. 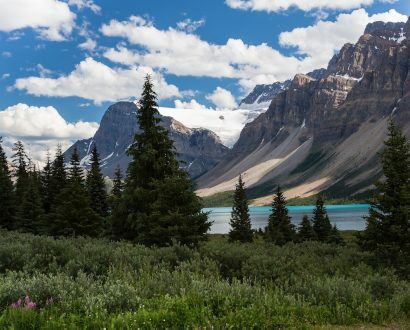 One of the most beautiful places in Canada, Banff National Park is the country’s oldest and arguably most famous national park, teeming with glacial lakes – including the picture-perfect, turquoise waters of Moraine Lake – local wildlife and scenic views. Enjoy hiking, paddling, mountain biking and climbing in summer, or wildlife tours, ice walks, snowshoeing and dog-sled and horse-sleigh rides in winter for an unforgettable Canadian experience. 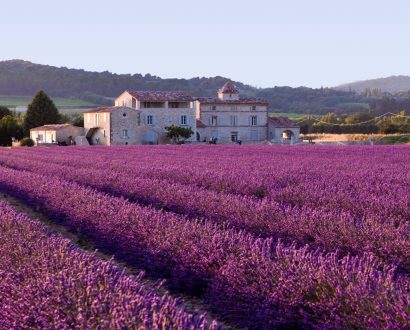 Undoubtedly one of France’s most captivating regions, Provence’s seemingly endless stretches of lavender fields and historic hilltop towns may just make it the crème de la crème French experience. With so many diverse landscapes – glistening seas, mountainous countryside and enchanting towns – to discover, you’ll leave feeling refreshed and inspired by the region’s beauty and history. 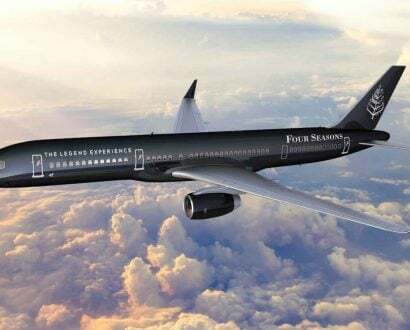 We round up more lust-worthy holidays, from Richard Branson’s Necker Island to the ‘world’s first’ (partially) undersea residence, The Muraka.